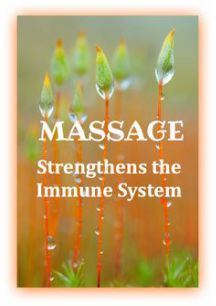 Virtually every symptom listed by the American Psychological Association can benefit from massage. Research has shown that it can lower your heart rate and blood pressure, relax your muscles and increase the production of endorphins, your body's natural "feel good" chemical. Serotonin and dopamine are also released through massage, and the result is a feeling of calm relaxation that makes chronic or habitual as well as acute or short-term stress much easier to overcome. In fact, stress relief is one of the first benefits that come to mind when thinking of massage therapy. It's also a key component for anyone trying to achieve a healthier lifestyle. Clinical studies show that even a single 1 ½-hour session can significantly lower your heart rate, cortisol levels and insulin levels -- all of which explain why massage therapy and stress relief go hand-in-hand. Taking care of your body should be at the top of your priorities. By adding therapeutic massage to your routine now, you'll feel, look and simply be healthier far into the future. In fact, stress relief alone can improve your vitality and state of mind. So what better way to prep for a long, happy life than a relaxing, therapeutic massage? If you're looking to add stress-relieving massage to your wellness program, we can become a powerful ally when combating daily pressures and anxiety. In addition to stress relief, ongoing massage therapy can reduce pain, increase energy levels and improve overall physical and mental performance. Dr Dave Hillis, LifeStyle Engineer® at Dolphin Healing Hands customizes every massage (and stress relief) session to address your individual needs. The body can produce an unhealthy buildup of hormones when we're stuck in traffic or meeting a work deadline. Pent-up levels of the "stress hormone" cortisol can lead to sleeplessness, headaches and even digestive problems. 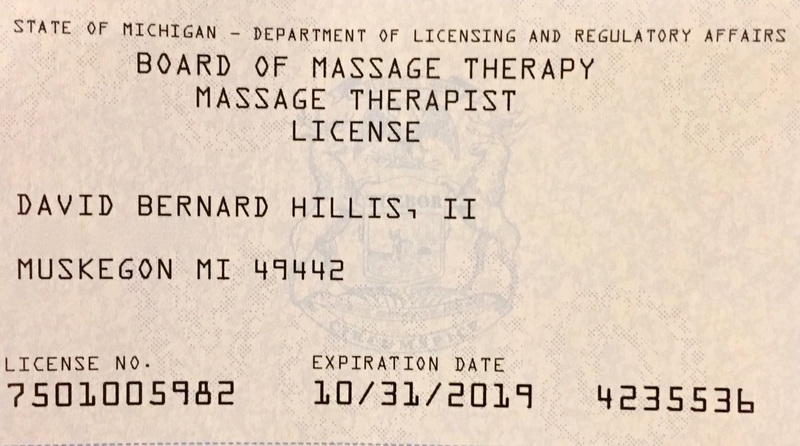 Enter massage therapy. Massage has been shown to decrease cortisol in the body. This allows the body to enter a relaxing rest-and-recovery mode­: an effect that lingers long after the massage is over. In fact, massage triggers a host of brain chemistry responses that can result in lasting feelings of relaxation, lowered stress and improved mood. Dr Dave Hillis offers a variety of relaxing massage therapy styles and techniques to help kick start the relaxation process. 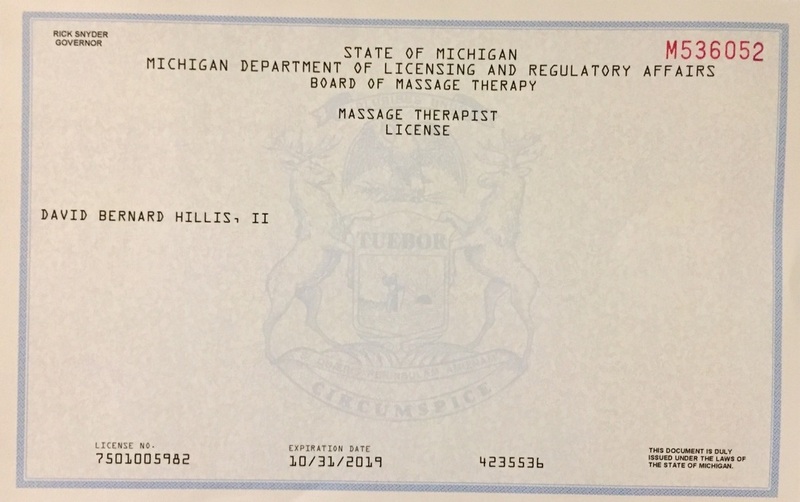 If you enjoy relaxing massage therapy, know that Dr Dave Hillis can be a powerful ally in your wellness program. In addition to encouraging relaxation, ongoing massage therapy can reduce pain, increase energy levels and improve overall physical and mental performance. We've all suffered from the soreness associated with an overly exuberant exercise session. But did you know that most Americans experience neck, back and muscle pain from another less-strenuous activity? Surprisingly, it's sitting. Chronic back pain, which is the second most common cause of disability and a top reason for missing work, can be the result of improper posture while sitting and standing. Additionally, carrying extra weight, poor posture, and repetitive or overuse movements can put strain on the back and other sensitive areas. This strain often results in spasms, tense muscles and pain in your upper back, hips, glutes and hamstrings. So the question is: what relaxes muscles? Massage (or muscular therapy) gets to the root of the pain by relaxing tense muscles and increasing flexibility. . Massage also encourages blood flow to the affected muscles, which can bring increase oxygen and nutrients,. All of this activity reduces swelling and stiffness and increases flexibility to help eliminate pain. Muscular therapy also releases endorphins and boosts your levels of serotonin and dopamine, all hormones your body produces to help you feel good, promote healing and pain management, and calm your nerves. Helpful Wellness Tip: Deep Tissue Massage focuses on deeper tissue structures with intense pressure to release chronic muscle tension and ultimately relax the body. From board meetings to bunko groups, there's a lot of tension these days-as in neck and back tension. "Our necks and backs hurt, and poor posture is the No. 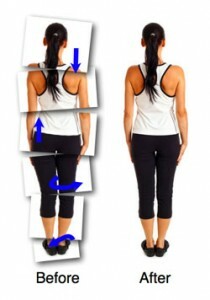 1 culprit," says Janice Novak, M.S., author of the book, Posture, Get it Straight! (Perigee Trade, 1999). When you hunch forward, your body isn't properly aligned. "Not only does poor posture look bad, but it forces some muscles to work incredibly hard all day long while others get weaker," Novak says. Poor posture can put you in other slumps, too. "When you slouch, you're pressing down on your internal organs, which affects digestion," Novak says, adding that circulation and breathing capacity can take a hit too. Unlike other bad habits, poor posture can be relaxing to correct. Why? Because massage can help get your body back on track. Allowing the body to reinforce healthy and natural movements can be one of the most beneficial aspects of massage therapy. Massage can relax and loosen the muscles made sore by bad posture, allowing your body to position itself in its natural-and pain-free-posture. Muscle injuries are more common now than they were 50 years ago. That's not because we're exercising harder. It's because we're more sedentary. What's worse, as we age our joints tend to tighten, making range of motion and flexibility even more restricted. Massage therapy is a beneficial treatment for maintaining and improving flexibility and motion. By working on muscles, connective tissues, tendons, ligaments, and joints, regular massage can improve your flexibility and range of motion, keeping your joints more fluid and making them less injury prone. As you can see, massage is a great way to relax stressed muscles, stimulate blood flow and improve flexibility. So is daily stretching. One benefit of stretching is an improvement of blood circulation, which aids in illness recovery and disease prevention. Elongating muscles will also improve posture and your joints' range of motion. Stretching and massage are even more important for someone who is physically active. Loose muscles are less prone to strains and sprains during a workout. Incorporating massage and stretching into a fitness routine also will help reduce soreness after a workout. Stretching beforehand will allow greater freedom of movement when exercising and longer workout periods because it helps prevent a buildup of lactic acid in your blood. Regular post-workout massages can then aid in the recovery and relaxation process. Fact: High blood pressure has NO symptoms. That's why it's often called the silent killer. Myth: You don't need to have your high blood pressure checked until you reach middle age. Fact: Children as young as six can have high blood pressure. It's a good idea to start having your blood pressure checked at an early age. One effective way to stave off high blood pressure naturally is massage therapy. Long-term studies have shown that a consistent massage program can decrease diastolic and systolic blood pressure; decrease salivary and urinary cortisol stress-hormone levels; and lower sources for depression, anxiety and hostility. If you or someone you know is looking for natural ways to help lower blood pressure. "Most people go to massage therapists to reduce pain. There's a release of serotonin, which is the body's natural production of anti-pain chemicals. Additionally, an aggravating factor in pain syndromes can be a lack of deep, restorative sleep. Massage is very effective at increasing deep sleep. With more deep sleep, you have less pain." 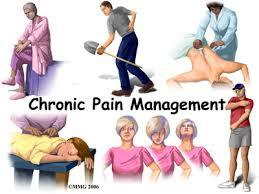 Fibromyalgia and arthritis are two chronic pain syndromes that can be positively impacted by massage therapy. In a study of massage therapy for knee osteoarthritis, a group receiving massage therapy for the pain showed significant improvement in pain, stiffness and physical function. They increased their range of motion and reduced the time it took them to walk 50 feet. In another study, conducted by the Touch Research Institute, people with arthritis in their wrist and hand reported less pain and greater grip strength after massage therapy. They also had lower anxiety and depressed mood scores. For people looking to naturally manage their chronic pain, massage therapy can improve quality of life by impacting mood as well as manage the pain. When you live with chronic pain, having a toolbox of strategies you turn to for pain relief is important. Massage can be a powerful tool for relaxing both mind and body. Even when there's no injury, massage can helps athletes of all levels improve their flexibility and muscle suppleness. Dr Dave Hillis can also stretch the muscles in trouble areas, promoting increased flexibility when the body is warm and more elastic. When you book your massage, request a sports massage, and ask that special attention be paid to any injured areas.